Since Canada’s greener economy clearly drives important new employment opportunities, it is vital to know the true impact of this green shift. Are green jobs only growing in new industries, such as renewable energy or green manufacturing? Do green employers prefer highly specialized, technical expertise? What’s going on with established environmental industries – can you still find jobs in them? We found the answers to these questions and more in our recent report, The Green Jobs Map. See them here and find out which greener economy “facts” are actually myths in the infographic below! 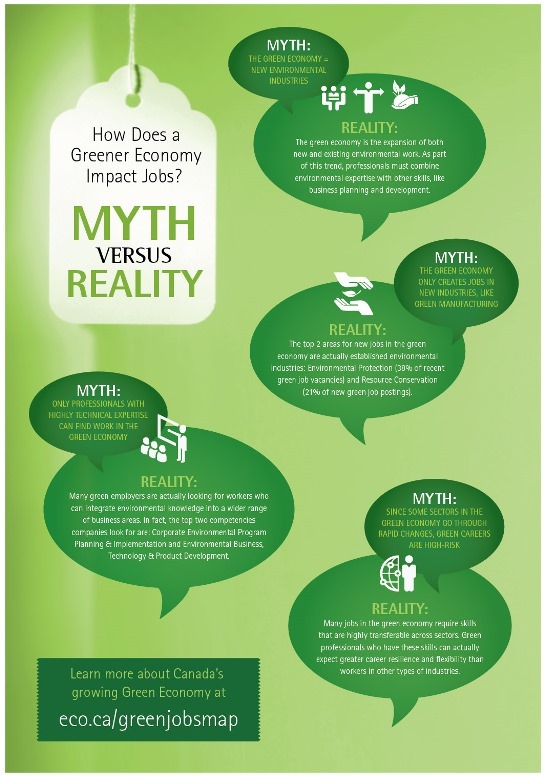 Have you come across any other common misconceptions about the green or greener economy? Share your experience below!